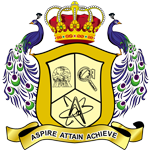 AAA College of Engineering and Technology, Sivakasi has conducted the Inauguration of the activities of Civil Engineering Association CESA( Civil Engineering Student Association) and FACEAT (Federation of All Civil Engineering Association of TamilNadu & Pondicherry) for the Academic year 2018-’19 on 31/08/2018, Friday at 9:45 am. Management committee member Joint Secretary Er.K.Vignesh Kumar and Principal Dr.M.Sekar along with the Head of the Department – Civil Dr.J.Maheswaran & Association Coordinator Mrs.Sofia Rajesh , presided over the function and Inaugurated the Association Activities. The Chief guests were Dr.G.Elangovan , Prof/Civil, University College of Engineering, Anna University, Thirukuvalai Campus & Er.R.Sivakumar , BE, MSc(Val),AMIE,FIV, Charted Engineer & Approved Valuer & Regional Secretary FACEAT, Virudhunagar. The Inaugration started with Tamilthai Vaznthu and Selvan J.Santhosh Anand (IV year Civil) welcomed the gathering. The dignitaries lighted the traditional lamp. Principal Dr.M.Sekar gave the presidential address to the students and encouraged them to come up with various innovative and integrated projects. Selvan.B.Kishore Vignesh (IV year Civil) and Selvan.Mareeshearan (III Year Civil) introduced the Chief Guests to the gathering. The Joint Secretary Er.K.Vignesh Kumar honored the Chief Guests with memento. The topics “Reliability based design of Concrete Design” and “Opportunities for Civil Engineers and how to become a successful Consultant?” were the Guest Lectures delivered by the above Chief guests imparting their valuable knowledge and proficiency in their fields with the students. Mrs.Sofia Rajesh ,Assistant Professor , Civil gave the vote of thanks and the Session ended with the National Anthem.